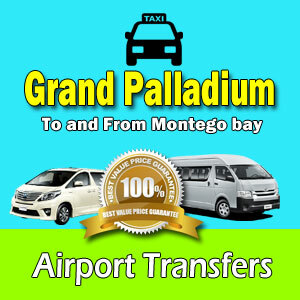 Book airport ground transportation to Ocho Rios from MBJ Sangsters International Airport in Montego Bay. One Way and Round Trip regular and luxury transfers available. 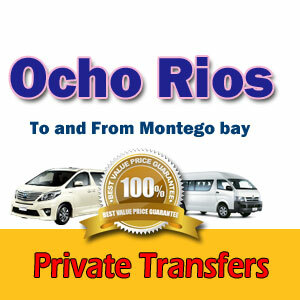 We offer the Lowest Group Rate available in Airport Transfers From MBJ Airport to Ocho Rios. 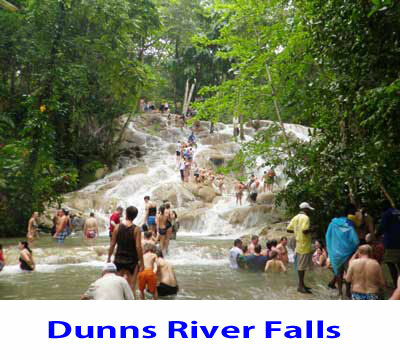 We provide private airport transfer to Ocho Rios Jamaica, comfort is most important. 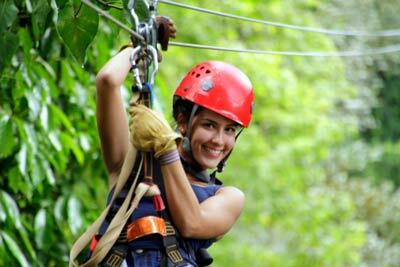 Jamaica airport transfers in Montego Bay offers service to all hotels and villa in Ocho Rios. Our drivers speak fluent English and will wait at the airport, no extra charge for waiting time. Book your one way or round trip transfers today and get the best rates available. Most transfers are booked and confirmed immediately. After a tiresome day spent in airports and carrying luggage around from place to place. Our trained professional chauffeurs/guides will meet you at the airport so that you don’t have to carry your luggage any further than needed. If you were to order a taxi or take a bus for Airport Transfer to Ocho Rios, you would have to search for the nearest taxi or bus terminal, which would add another 15 to 30 minutes on your final destination time. approx 97.4km depends on your hotel location.